relocated to 501 George Street, Sydney NSW. Book today for a no obligation consultation. 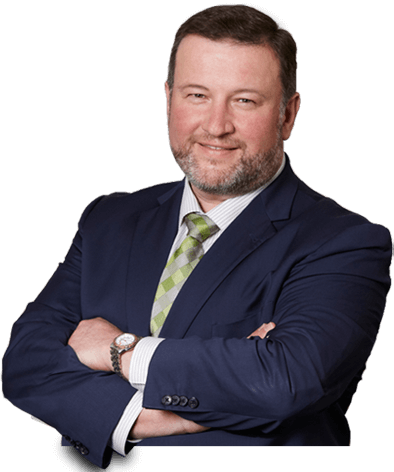 With Dr Con Moshegov, you will be trusting your eye care to a specialist ophthalmologist with a highly regarded reputation in laser eye surgery Sydney. Phakic intraocular lenses are implanted in the eyes of patients with higher degrees of short-sightedness (Myopia) or long sightedness (Hypermetropia). A cataract is the clouding of the clear lens of the eye. When dense enough, it can significantly impact on a person’s vision. Untreated, cataracts worsen with age. Eye Floaters can be seen as darkish shapes floating in your visual field. They can have circular or linear shapes and are often perceived as being ‘in front’ of the eyes. The iLASIK Procedure combines two advanced lasers with a 3-D mapping process in one integrated procedure. No blades, needles or anything else that’s sharp are used. 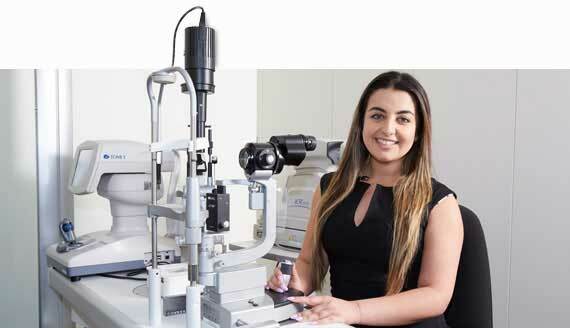 Welcome to Sydney’s premier eye laser surgery. 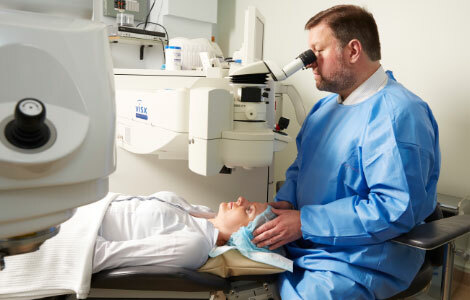 Specialising in Lasik eye surgery, cataract, floaters, presbyopia, myopia, astigmatism and hypermetropia, Dr. Con Moshegov’s George Street Sydney Eye laser Surgery offers the finest eye treatment available in Australia. Whether you are someone who has struggled with vision problems since childhood or developed them in later years, as so many of us do, the highly regarded George Street Eye Laser Centre is the first place to come for exceptional laser eye surgery Sydney. 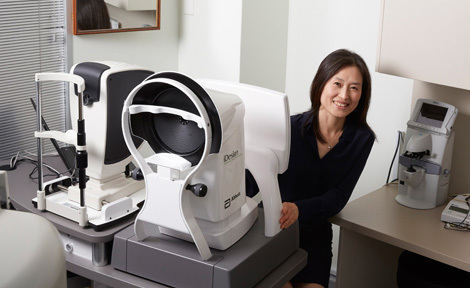 Founded and led by one of Australia’s pre-eminent eye surgeons, Dr Con Moshegov, we have two fully-equipped, high-tech vision clinics, conveniently located in the Sydney CBD and on the city’s Upper North Shore at Hornsby. Perhaps you’ve worn glasses for many years and have become tired of constantly losing or breaking them, and then having to buy expensive replacements? Or maybe you enjoy competitive sports or leisure pursuits and find wearing glasses a real hindrance? Bladeless eye surgeries are now among the most common elective surgeries in the world, and can be used with a great degree of success on a range of conditions, including cataracts, floaters, presbyopia (long-sightedness), myopia (short-sightedness), astigmatism and hypermetropia. The laser eye surgery Sydney process normally takes no more than 30 minutes for both eyes, uses only local anaesthetic in the form of eye drops, and does not require an overnight stay in hospital. Or are you just one of the many thousands of Australians who have tried wearing contact lenses rather than glasses, but found them inconvenient or difficult to insert? Rest assured that if you are, there’s no shame in feeling squeamish when trying to put a foreign object so close to your eyeball. Fortunately for many Australians there is now an alternative to both glasses and contact lenses. One that is proven to be both quick, effective and perfectly safe. 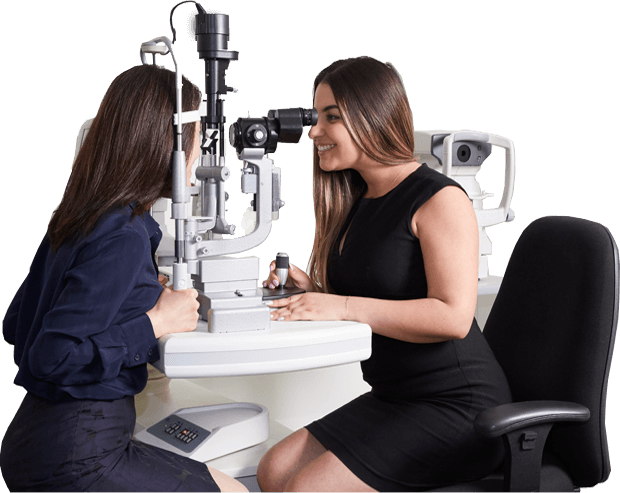 Dr Moshegov understands that effective eye treatment always begins at the initial consultation stage, during which he thoroughly examines your eyes and spends as much time as required answering any questions you may have, to more fully put your mind at ease. During the doctor’s diagnosis he will discuss your medical history, eye health, expectations and suitability, before deciding on a treatment plan that best meets your needs. Visit our clinic for a free one hour comprehensive laser eye assessment. After qualifying in Medicine at the University of Sydney in 1986, Dr. Moshegov extended his lengthy training by undertaking a two-year Fellowship at a leading hospital in the UK, specialising in diseases of the eye and refractive surgery. On returning to Australia he went to work as a Registrar at the Sydney Eye Hospital and was Head of the Department of Ophthalmology at the Concord Hospital, where he worked for 12 years. Dr. Moshegov has published a number of papers in international medical journals and has also lectured extensively on the subject of eye care in England, France, Japan, China, Vietnam, Canada and the USA. Dr Moshegov remains passionate about his area of specialisation and shares his vast knowledge as a Senior Clinical Lecturer at the University in Sydney. As an industry leading thought-leader in the field of eye laser surgery, he understands that giving back is vital to the next generation of eye-care surgeons. He also acts as a consultant to major ophthalmic companies, who greatly value his knowledge and expertise, which they incorporate in the development of various new technologies to enhance the field of eye care and laser eye surgery Sydney. Lasik eye surgery is one of the most popular vision correction procedures in Australia. LASIK stands for ‘laser in situ keratomileusis’ and refers to a modern method of surgery that involves the use of highly sophisticated lasers to remove minute amounts of the cornea (the clear frontal region of the eye). During the procedure an extremely thin piece is removed to create a flap, and lasers are then applied to the area beneath. In this way the eye is gently and minutely reshaped and your vision markedly improved. 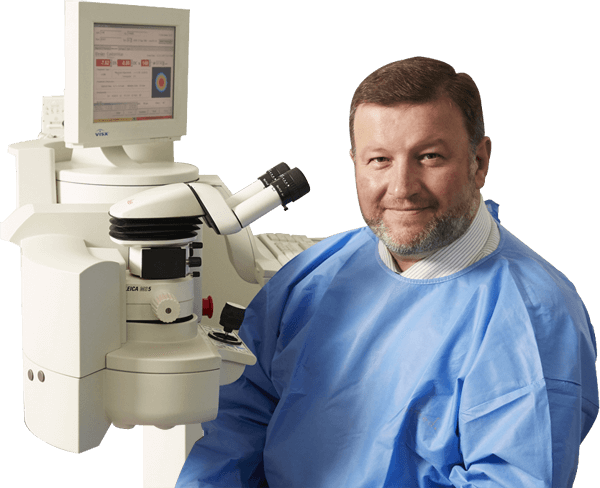 Dr Moshegov is a pioneer of innovative new Lasik eye surgery Sydney techniques, such as iLASIK surgery, while remaining proficient in other reliable, pain-free procedures, such as LASEK. In certain cases the doctor will recommend a different solution to Lasik surgery, whereby a small artificial lens (known as a Phakic IntraOcular Lens) is inserted into the anterior chamber of the eye, but the actual eye structure itself remains unchanged. A treatment decision will be made at the consultation stage, following precise measurements of the chamber that will be receiving the implant. While all surgery comes with the potential for risk, Dr Moshegov’s many years of experience and that of his carefully selected clinical staff, mean that the risk of complications through eye laser surgery are kept to an absolute minimum. And these will be fully discussed during your initial consultation. To book in for a no-obligation LASIK consultation, simply call our Sydney Eye Laser Surgery Clinic today on (02) 9230 0010. Lasik eye surgery has significantly improved the eyesight and quality of life for thousands of happy patients across Sydney. Lasik – “laser assisted in situ keratomileusis” – is a tried and tested, painless and blade-free procedure that has benefited over 30 million people worldwide since its revolutionary inception in the mid-1990s. Lasik is a speciality of Dr Con Moshegov’s George Street Eye Laser Centre and he is a pioneer in these techniques. Lasik surgery works by gently reshaping the cornea, allowing light to focus correctly on the retina and improve your vision. Dr Moshegov is a world-renowned ophthalmologist who insists on setting the highest standards in patient care; from painstakingly explaining the Lasik procedure at your initial consultation, to providing reassurance during surgery and proper follow-up care by our friendly and dedicated team of clinicians. Even the most nervous of patients will feel reassured the moment they walk into our ultra-modern George Street Eye Laser Centre in the heart of Sydney. Are You Suitable for Lasik Surgery in Sydney? Lasik surgery is a safe and effective form of refractive surgery, and Sydney’s most common elective medical procedure for those seeking to correct myopia (nearsightedness), hyperopia (farsightedness) or astigmatism. A clear majority of patients with these conditions are suitable candidates for Lasik but there are groups for whom the procedure is inappropriate or unsafe, including those under 18 years of age, whose vision is still developing, or women who are pregnant or still nursing children; due to the possibility of hormone imbalances having a short-term effect on eyesight. In addition, there are specific underlying medical conditions, including diabetes, that may preclude you from Lasik surgery. Pupil size and corneal thickness are further contraindications, as these conditions can cause complications and adversely affect the results of surgery. The ideal Lasik candidate will have a clinical diagnosis of refractive error and been on the same contact lens or glasses prescription for a minimum of one year. Potential risks will be identified by the doctor and discussed in detail during your initial consultation. Your health and welfare remains our prime consideration. What Pre-Surgical Procedures Can I Expect? Once you have decided to opt for Lasik surgery, all you need do is call and book your initial consultation at the George Street Eye Laser Centre on (02) 9230 0010. On your first visit you will be seen by Sydney’s leading Lasik Eye specialist, Dr. Con Moshegov, who will discuss the procedure and outline both its benefits and any potential risks involved. He will then make a detailed examination of your eyes. This will include evaluating the thickness and shape of your corneas; the size of your pupils and your general eye health. You will also have the surface curvature of your corneas concisely mapped using a non-invasive scanner known as a corneal topographer. This mapping is crucial because everyone’s eye structure is as unique as a fingerprint and the topographer provides extremely detailed information, to facilitate precise calibration of the surgical laser. In some cases, particularly when prepping for iLasik or Custom laser eye surgery Sydney, additional eye mapping is conducted via waverfont analysis. This is also a valuable tool in revealing subtle disorders of the cornea or lens that may be missed using other methods. Wavefront technology is set to replace the phoropter which is the device containing a wide variety of interchangeable lenses that you will have experienced at your local optician. The limitation of this method is that it relies entirely on subjective responses from the patient, whereas wavefront analysis is completely objective, automatically tracking the journey of light through the eye. Your overall health will be assessed by the doctor to make sure you can cope adequately with surgery. He will also make a baseline evaluation of your vision. You will need to inform him of any medication you are taking and your allergies, if any. If you currently wear soft, rigid gas-permeable (RGP) or hard lenses, the doctor will insist that you switch to glasses several weeks prior to your baseline evaluation – the exact period is determined by the type of lens you use. Contact lenses can significantly alter the shape of your corneas, so it is imperative that you follow the advice to prevent complications and poor surgical outcomes. What Happens During My Lasik Surgery? Once you have been assessed we will agree a date for your laser eye surgery Sydney with you. We understand that any medical procedure can be stressful which is why all our clinicians are trained to make you feel as comfortable as possible. You can expect to be at the clinic for under two hours and the operation usually takes no longer than 10 minutes for each eye, depending on your prescription and the correction required. Because Lasik surgery is 100% blade-free, the good news is that there are no stitches, bandages or general anaesthetic required. In place of general anaesthetic eye-drops will be applied to numb the area and prevent any discomfort. If you are a nervous patient, you will also be offered medication to help you remain calm and relaxed. All Lasik surgery takes place with the patient awake and in a reclined position. Once you are lying down and comfortable the surgeon will use an instrument called a lid speculum to keep your eyes open during the procedure and prevent blinking. He will then position the laser equipment and begin the painless procedure, creating an extremely thin corneal flap. All you need do is focus on a target light when asked. You may well feel light pressure in your eye but this is completely normal. If you are having both eyes treated the whole procedure will usually be over within 20 minutes. Can I Go Home Straight After Surgery? It is important to rest after surgery and undergo a short period of observation by your surgeon, just to ensure everything went smoothly. Provided the doctor is happy, you will be allowed to go home within an hour or so, but you must not drive on the day, so please remember to arrange a lift. It is common to experience post-operative blurred vision and sometimes a burning sensation but this is nothing to be concerned about. It will usually settle down within a few days but in certain cases it can take several weeks. You should avoid strenuous exercise for at least a week and allow your eyes to rest as much as possible over the first few days to give them time to recuperate from the procedure. You can return to work the next day but it is best to book a few days leave.